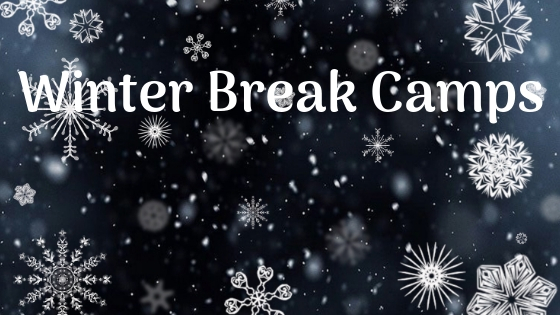 Winter break for Fairfax County starts after school on Friday, December 21 and students don’t go back until January 7! That’s a long time with nothing to do, except a holiday if you celebrate. If you’re looking for camps for your kids over winter break, please read this list of suggestions. If you have an option I might have missed, please comment below and let our readers know. Adrenaline Dance Studio — 6 Options for full day or half day camp, ages 3-14. Stemtree — Grades K-6 is one group, and then Grade 7 and up is another. Hours are 9 a.m. to 3 p.m.
MyGym of McLean — Camp is for 3-9 year olds, hours are 1:30 p.m. to 4:30 p.m.
Enshin Karate — Day camp from 7:30 a.m. to 6 p.m. The Old Firehouse Center in McLean — Offers daily trips for 5th through 9th graders. Examples include Dave & Busters, Zava Zone, Indoor Go Karting and more. The TEA Center — Preschool through 8th grade, 6:45 a.m. to 6:45 p.m.
Sign up for Our-Kids.com. They send a weekly email with all of the activities for the upcoming week so you don’t have to scour the internet for something to do. It’s neatly packaged by location (DC, VA, or MD), by day, and time. Red Tricycle does something similar. Looking for some more options? Try Fairfax County Winter Camp or the Town of Vienna also has some camps.